With another volcano poised to erupt in Iceland, here's a primer on what the impact can be for jets, air travellers, and the environment. When volcanoes erupt in Iceland, the effects can also be felt far from the North Atlantic island. Flights can be grounded in Britain and northern Europe — as they were in 2010 and 2011 — leaving passengers fuming as billowing plumes of volcanic ash cloud the skies. Increased seismic activity in Iceland's largest volcanic system this month has geologists and business analysts wondering what, if any, impact there will be on air travel and the economy. Volcanic ash — composed of rock, minerals and volcanic glass — is formed during eruptions. The abrasive particles vary in size from 0.001 millimetres (comparable to baby powder) to two millimetres (coarse grit). What threat does volcanic ash pose to airplanes? 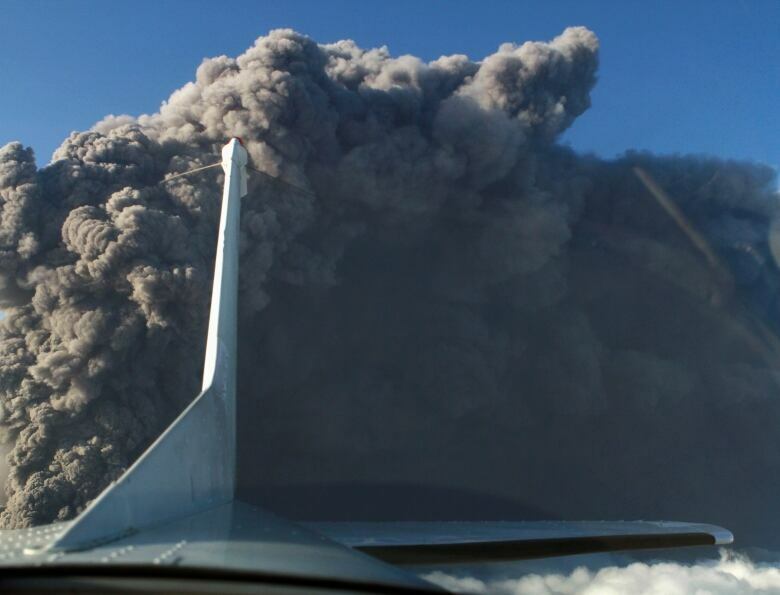 A plane passing through a cloud of volcanic ash can suffer damage from nose to tailfin. The ash can sandblast the plane's windshield, hampering visibility. The particles can block fuel nozzles and air intakes for the instruments that detect airspeed. They can also contaminate the oil system and electronics. The sharp particles in the ash are so abrasive they are capable of stripping the paint off the exterior of a plane, according to Bob McDonald, host of CBC Radio's Quirks & Quarks. When pulled into the plane's ventilation system, ash poses a health threat to passengers. "Airplanes draw air in from the outside to keep everybody on the inside healthy and happy," said McDonald. "And so then the gases that would be in the cloud would also get inside the plane and people would start breathing it." But the most serious threat is to the engines. "Jet engines are like giant vacuum cleaners. If they're in a volcanic ash cloud, they're just sucking in all that ash and that damages the engines," said Tom Murray, director of the Volcano Science Center at the U.S. Geological Survey (USGS), which oversees five volcano observatories in the U.S. The ash can melt or vaporize in the engine's combustion chamber. The molten ash can then coat the turbine blades like spray paint, disturbing the normal air flow and possibly causing the engines to shut down, according to Michael Fabian of Embry Riddle Aeronautical University's campus in Prescott, Ariz. The ash can also interfere with the engine's thermostat, causing the computer system to think the engine is running cooler than it is. The computer would then automatically inject more fuel into the engine, causing it to overheat and shut down. Volcanic ash can also hamper visibility, obscuring sunlight during the day. According to the USGS, the sky can turn hazy and sometimes fade to a pale yellow or intense black. Ash is especially dangerous because the particles can't be seen on weather radar, and at night they're invisible to pilots. How far can volcanic ash travel? Wind can carry volcanic ash thousands of kilometres away from the source volcano, according to the USGS. Most of the aircraft damaged by ash from the Mount Pinatubo eruption of 1991 in the Philippines were more than 950 kilometres away. Ash from that eruption drifted eastward more than 8,000 kilometres and was found on the east coast of Africa. How frequent an occurrence is this? More than 20 aircraft were damaged by ash after Mount Pinatubo erupted in 1991. Most were more than 950 kilometres away. A KLM Royal Dutch Airlines Boeing 747 in 1989 lost power after passing through an ash cloud from Alaska's Redoubt volcano. The plane dropped 7,500 metres, to 3,600 metres, before the crew was able to restart its engines. The engine on a British Airways plane in 1982 failed after the aircraft moved through a plume of volcanic ash over Indonesia. The pilot was able to successfully restart the engines after it dropped from 11,000 metres to 3,650 metres. In April 2010, the eruption of the Eyjafjallajokull volcano grounded planes across northern Europe for five days, stranding 10 million travellers. Thousands of flights were grounded and airlines lost millions of dollars. 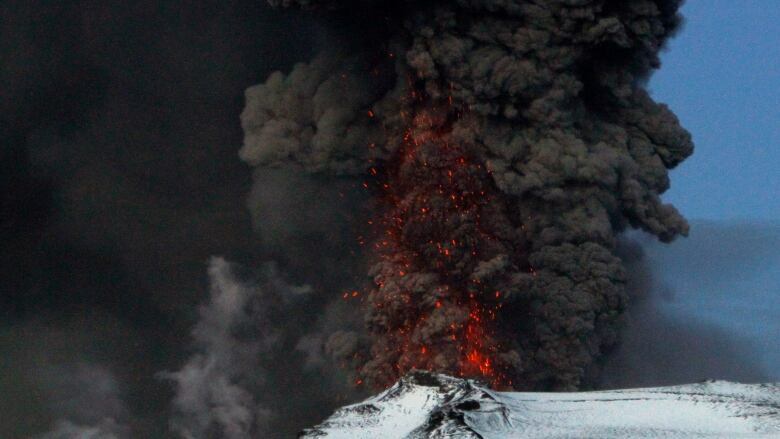 In May 2011, flights to and from Scotland and Northern Ireland were cancelled after the Grimsvotn volcano erupted. Will eruptions have other effects on weather or climate? 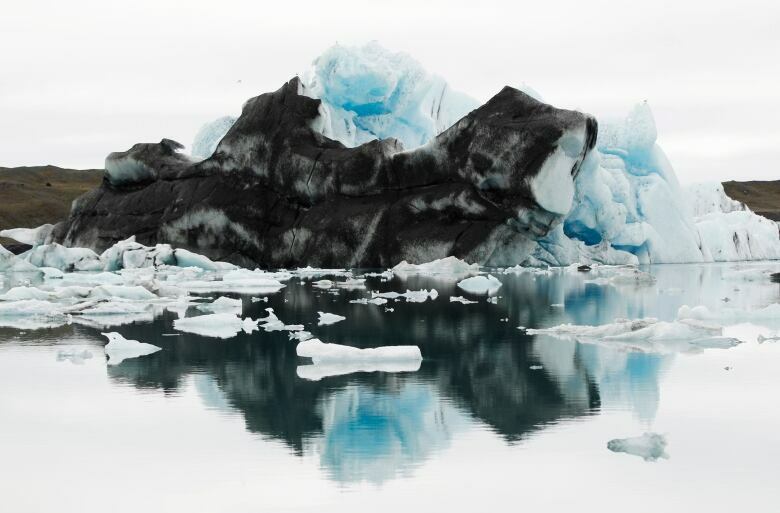 Volcanic eruptions have been known to lower global temperatures, but the Eyjafjallajokull eruption in 2010 wasn't expected to, said atmospheric scientist Brian Toon of the University of Colorado at Boulder. Toon said NASA's Aura satellite measured the amount of sulphur dioxide that the volcano emitted and it posed no threat to world climate. Volcanic ash has been known to remain in the atmosphere long enough to drift around the world, leading to spectacular sunsets as the dust particles scatter light from the sun. The 1815 eruption of several volcanoes, including the Tambora volcano in Indonesia, often called the biggest eruption ever recorded, had a much greater effect. The following year was dubbed "the year without a summer," when low temperatures and even summer snow destroyed crops in northern Europe and North America, leading to a global food shortage.